The New SJ5000X Elite Quick-Guide Manual Is Out! It’s been a busy, busy month at SJCAM! 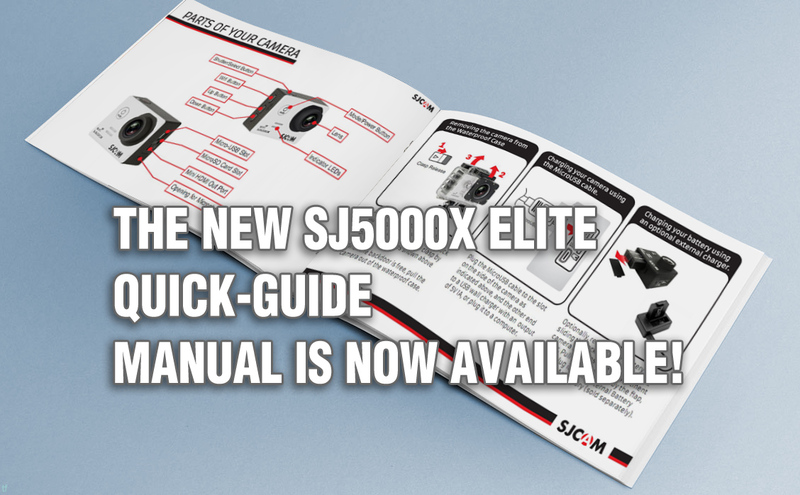 In response to the huge volume of requests, we are rolling out The New SJ5000X Elite’s Quick-Guide Manual. There have been A LOT of questions about its features, because a lot of them are just recent additions, and some of them have been renamed or reconfigured to make it easier for the user. It was no easy task explaining technical terms in the simplest, shortest way possible for everyone to understand, but here it is! Other camera models’ manuals will also be out soon, so keep checking back for updates here. Still a long way to go! Lots of models and firmware to document! Got any questions or suggestions? Write a comment below. And while you’re at it, tell us what your favorite feature is and why. Go! Click here to go to The New SJCAM SJ5000X Elite Quick-Guide Manual download page.